Preliminary ProceduresDisconnect the air cleaner outlet duct from the air cleaner assembly. Refer toAir Cleaner Outlet Duct Replacement.If required, remove the throttle inlet absolute pressure sensor. 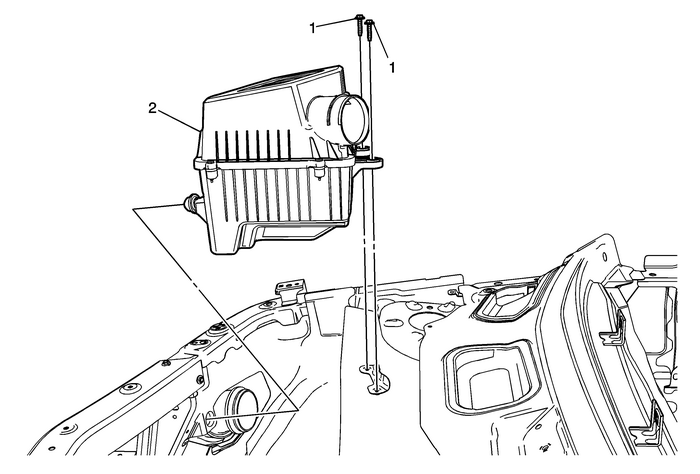 Refer toThrottle Inlet Absolute Pressure Sensor Replacement.If required, remove the mass airflow sensor. Refer toMass Airflow Sensor with Intake Air Temperature Sensor Replacement.